As umpire Doug Harvey prepared for induction into the Hall of Fame last weekend, an old story arose about his proclivity for ejecting Joe Torre at the most opportune moments. In 1962, Torre was in his second season as a catcher with the Braves, and his resume flashed two primary distinctions: a runner-up finish in the ’61 NL Rookie of the Year voting, and designation as the first player Harvey ever ejected from a game. 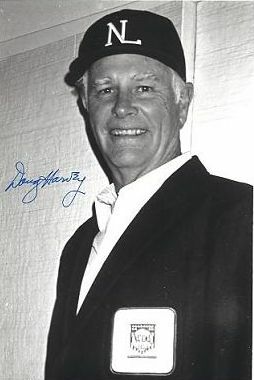 They say that players have long memories, but those players have nothing on Doug Harvey. Thirty-one years after that initial ejection, as the umpire took a final spin around the league before retiring, he pulled Torre—who by that point was managing the St. Louis Cardinals—aside. About a month later, in September, the Cardinals visited Shea Stadium, and jumped out to a big lead in the late innings. “About the seventh inning, I yell out about a pitch,” Torre said. “I figure I may not get a better shot at this. He came over to me and I had to explain what I was doing. It wasn’t foremost on his mind. It was as cordial an ejection as has ever been seen on a ball field. That type of interaction does have an antitheses, however—the antagonistic non-ejection. These often take place on exceptionally hot days, when managers looking for a reprieve in the air-conditioned clubhouse try to bait an umpire into tossing them out. Umpires, however, frequently recognize the tactic, and exhibit significantly more restraint than usual. Jose Rijo took things a step further. With a large lead in the seventh inning of a game in which Frank Pulli was serving as plate umpire, Rijo, with a stout bullpen behind him, made an unusual request about the possibility of drawing an early thumb. “I said, ‘Frank, I want to stay, but I can’t—I have a date tonight.’ ” Rijo said.